Boulder is a great town! It has the feel of Lake Tahoe, but the tech community of the Bay Area on a much smaller scale. It was great to be able to spend some time in the Rocky Mountains, explore a little bit, and hang out with some old friends. I didn’t get as much time as I would’ve liked behind the camera. For a place that supposedly gets 300 days of sun a year I seem to have a lot of lock finding the rainy days. I was there four days and it rained two. Downtown Boulder is literally about six blocks from the Rocky Mountains. It’s an easy trip into Boulder Canyon to go mountain biking! 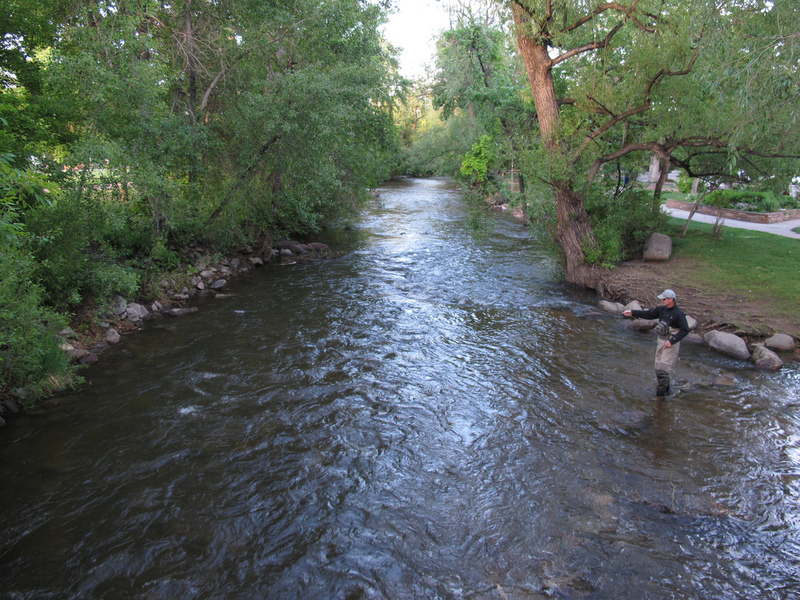 Or to go fly fishing downtown! 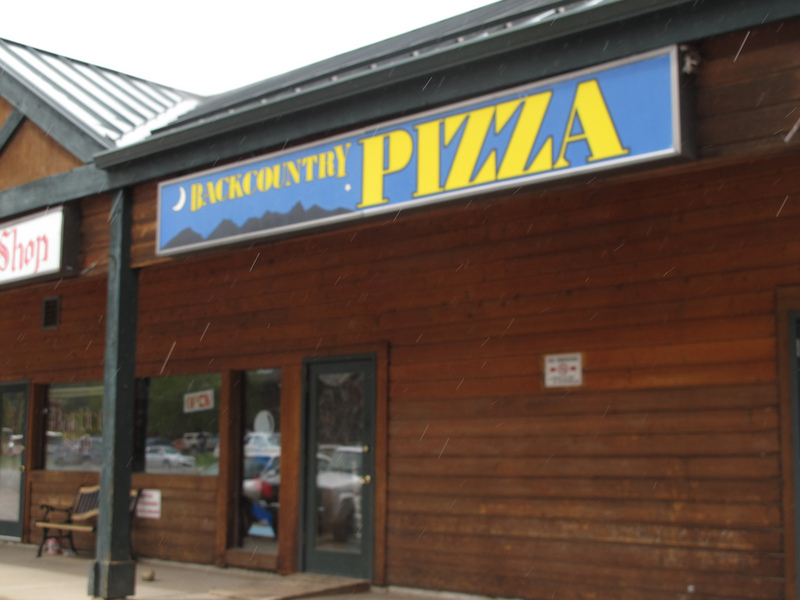 I had one of the days it rains to go out into the mountains and play! 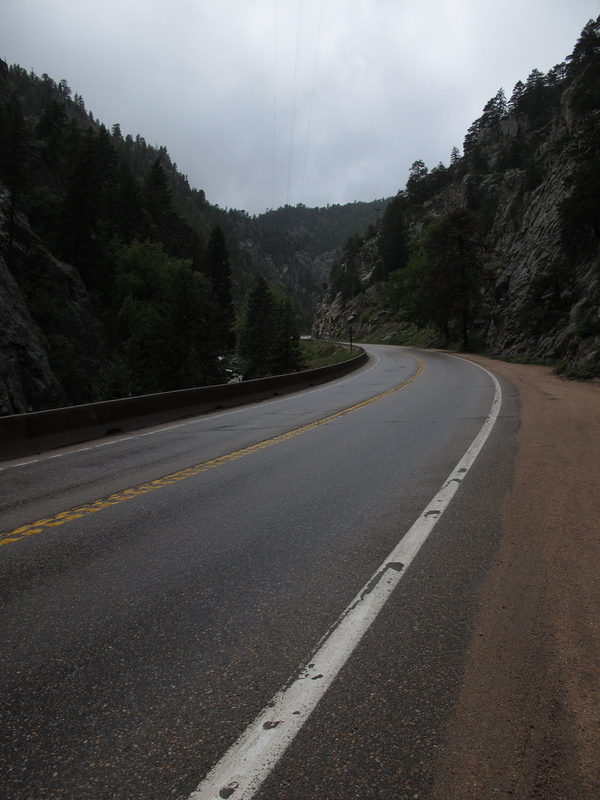 I took the rental car up into Boulder Canyon out to the town of Nederland. 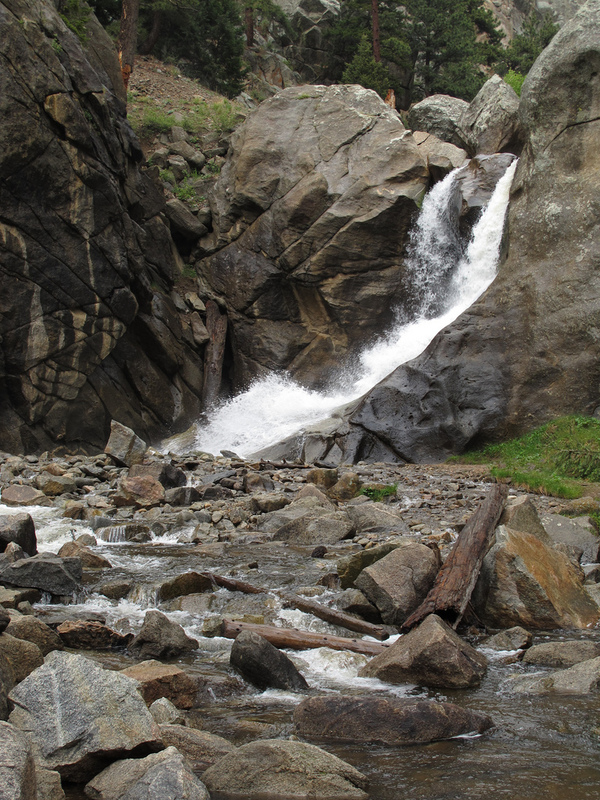 The first stop was Boulder Falls. 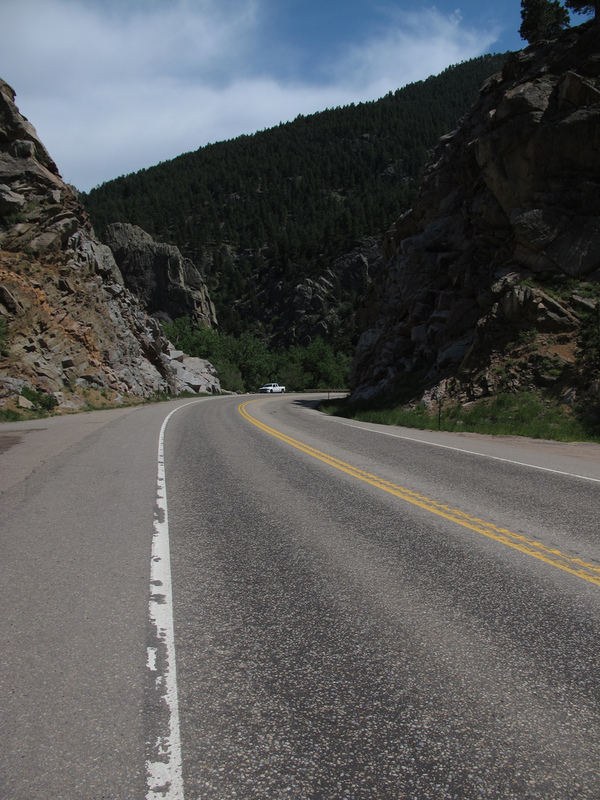 From motorcycling perspective Boulder Canyon was every bit as good as Highway 9 back home. Twisties were not in short supply. 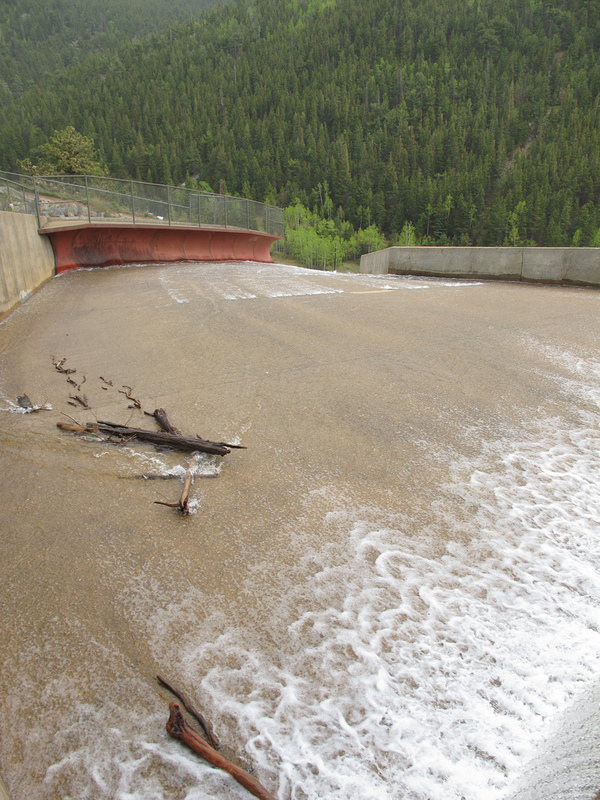 Just outside of Nederland is Barker Reservoir. The reservoir is cut deep into the mountainside. The spillway had this fall into the great abyss feel to it. I’ve not seen one that steep before. The weather didn’t cooperate either. Once in Nederland it got country really quick. 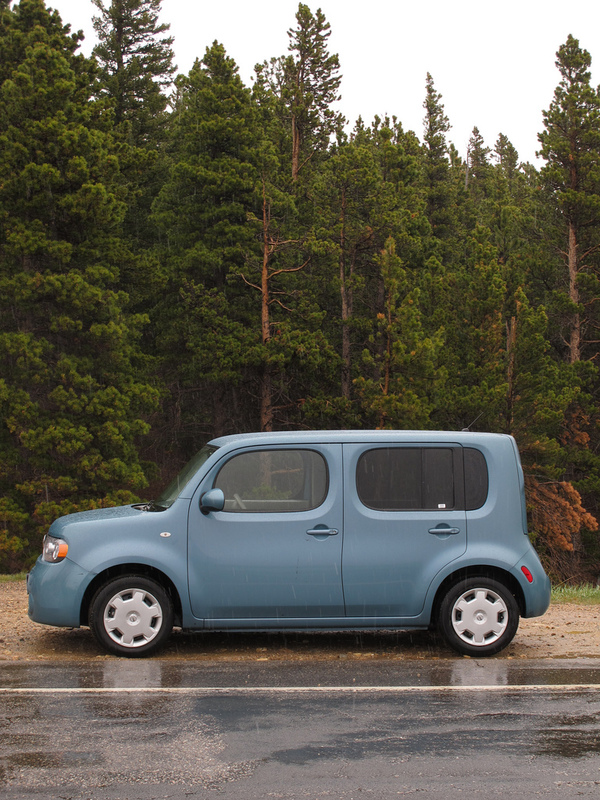 While Boulder is all hot to trot, Nederland is quite happy with it’s pickup truck demeanor. 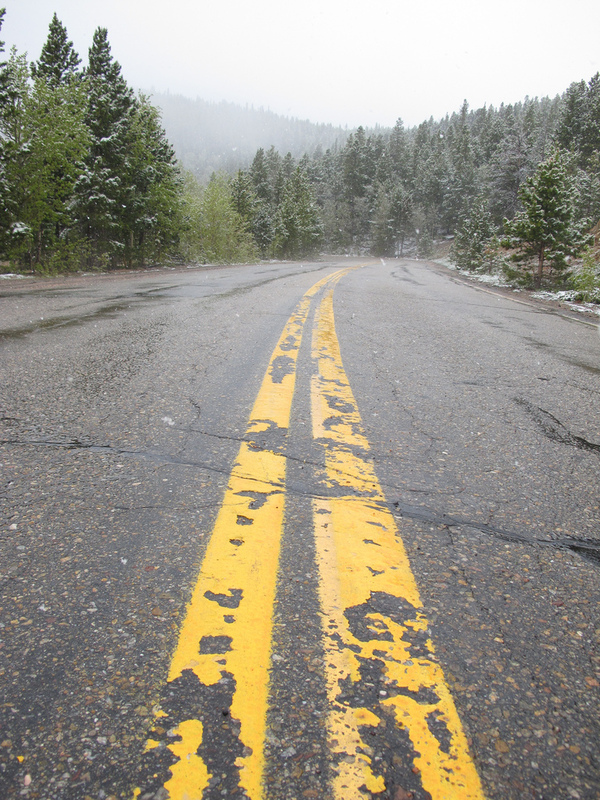 Further up the Peak to Peak highway the rain quickly turned to snow. My rental car isn’t exactly the snow faring type. Actually, it’s not my type at all. What was cool though was the forest as the snow began to fall. It was hard for me to believe that this is mid-May. While I know Denver is in the Rocky Mountains in those mountains get snow, somehow I figured at this point in the year I’d not be watching the snow fall. The number of people tell me here though, that the snow will be gone in a day and the weather will be beautiful just like California once again!